Salt Lake City, UT (8/26/2016) – The Behavioral Health Center of Excellence (BHCOE) has awarded Alternative Behavior Strategies with an Award of Distinction, recognizing the organization as a top behavioral service provider in the country. The award celebrates exceptional special needs providers that excel in the areas of clinical quality, staff satisfaction, and qualifications and consumer satisfaction. These areas are measured via a wide-ranging audit, including interviews with agency clinical leadership, a detailed staff qualification review, an anonymous staff satisfaction survey, and an anonymous consumer satisfaction survey. Alternative Behavior Strategies, Inc. (ABS) provides Autism therapy and related services, focusing on the use of Applied Behavior Analysis (ABA) to help ameliorate deficits and excesses attributable to Autism Spectrum Disorder or Social Emotional Disorders. ABS utilizes a variety of ABA techniques that incorporate motivation and function based teaching into the curriculum or family/community dynamic. These techniques vary from Verbal Behavior, Pivotal Response Training, Natural Environment Teaching and Positive Behavior Supports to more intense teaching methodologies such as Discrete Trail Training. Behavior change strategies focus on the development of alternative behaviors and establishment of skill sets that can replace maladaptive behavior. For more information, please visit http://www.alternativebehaviorstrategies.com/. This entry was posted in Uncategorized on August 30, 2016 by abssysadmin. You’ve no doubt heard someone say ‘Patience is a virtue.’ But why is it a virtue? If you ask, a common response might be: “It helps us to get along with one another.” Well, yes; however, there’s another reason. Sometimes we must make sudden decisions and take quick action. How can we get better, in that situation, at making a good decision and taking proper action especially when emotions are strong? By being patient when an immediate reaction is not required. In particular: “I think I should do …; however, it’s not essential to do that right now so I’ll be patient.” Several days later, perhaps, you reevaluate and conclude, “well, in fact, it will be better to …”. That patient consideration will help you in the future when you do have to respond immediately. This entry was posted in Uncategorized on July 21, 2016 by Thomas. 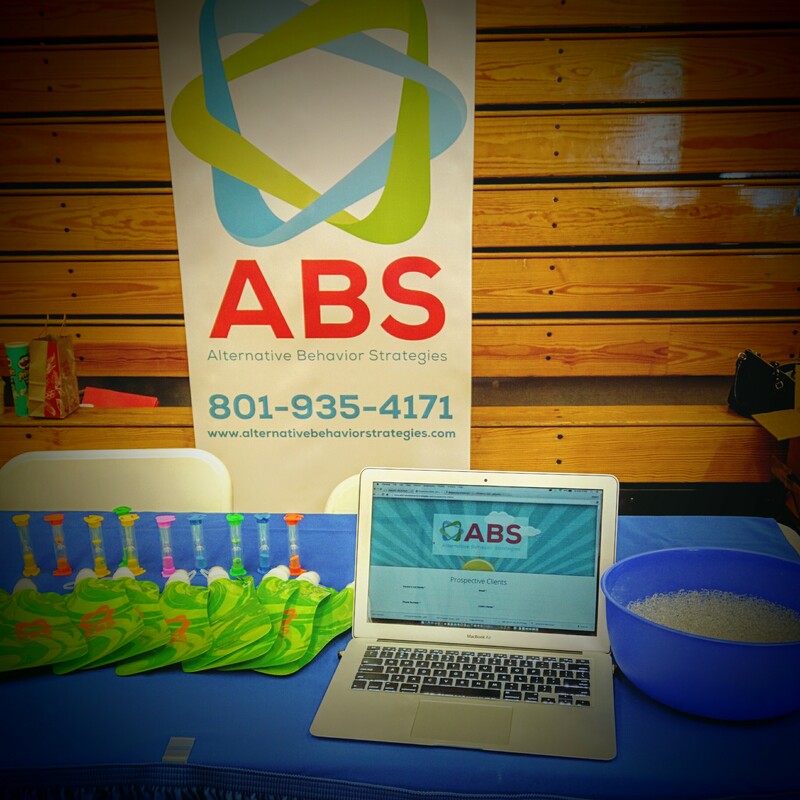 It is 2016 and BIG things are happening at ABS already this year. We are fine-tuning departments in our UT Corporate Office, bringing in new BCBA’s, and updating our systems. This letter is intended to bring you up to speed with all of these changes. Please welcome our newest BCBA’s! Kristyn received her Master’s of Education in Curriculum and Instruction, with an emphasis in Applied Behavior Analysis from Arizona State University, which enabled her to become a Board Certified Behavior Analyst. Kristyn has worked with individuals with special needs for over eight years in a variety of capacities, and has been working in the field of applied behavior analysis since 2009. She has worked in a variety of capacities, including direct care, training behavioral interventionists, and directing ABA programs. Kristyn has extensive experience working with children and adolescents with severe problem behaviors, including self-injury, feeding issues, and aggression. She is excited to be a member of the ABS team, and to be able to provide the best services possible to the individuals she serves. Will received his Master’s of Education in Curriculum and Instruction: Applied Behavior Analysis from Arizona State University in 2014 and subsequently became a Board Certified Behavior Analyst. He has worked with individuals from a diverse range of populations and backgrounds, but has had the most experience working with children and teens on the Autism spectrum. He has had several years of experience working directly with individuals as well as in supervisory and parent education roles. He is excited to be a part of ABS’ tradition of providing excellent quality of care to all individuals served. Congratulations to Rayl and Lindsey, our newest Jr. Consultants (BCaBA)! Lindsey earned a Bachelor of Arts in Elementary Education and a Bachelor of Science in Early Childhood Education with a Minor in Human and Family Development from Utah State University in 2008. She taught first grade for Davis School District for six years and started with ABS in 2014. Lindsey is now certified as a Registered Behavior Technician with the Behavior Analyst Certification Board and she is currently working on earning her BCaBA certification, with an eventual goal of earning a Masters degree and a BCBA certification. Lindsey loves working one-on-one with children and having the opportunity to focus on each individual’s strengths and needs. Rayl earned a BA in Comparative Sociology from the University of Puget Sound. He is currently enrolled in a special education master’s program and plans to complete the requirements to become a Board Certified Behavior Analyst. When he’s not fishing, skiing, climbing, or trail running, Rayl delights in utilizing his active nature to motivate the children with which he works. We have recently upgraded our Payroll system by moving to Paylocity. This system offers an integrated app that allows employees to view paychecks, benefits and manage time off from a mobile device. Each year we meet with each employee to go over progress and goals. This is a great time to collaborate with administrators about your career path at ABS. We want you to know that you are valued and appreciated for your hard work. We are doing everything possible to create a workplace that fosters advancement opportunities, rich training and individual support. When we work together we create “Behavior Alternatives to Open New Opportunities” for our clients and ourselves. This entry was posted in Uncategorized on February 1, 2016 by j355engel. I remember being at dinner with some friends a few years ago. We were reminiscing about the early infancies of our children and how we celebrated the moment when our youngsters began sleeping through the night (or somewhere close). We joined in the discussion with the enthusiasm typical of mothers speaking to other mothers who’ve “been there”, but whose travail was somewhere in the past. That is, most of us did. One of my dear friends reacted to the conversation by putting her hands over her ears and joking that she “didn’t want to hear it”. Her two children had Autistic Spectrum Disorders and, into early elementary school, were not predictably sleeping through the night. While her reaction was impressively good-natured, the long-term struggle with something as basic as sleep had real-life, everyday ramifications for their family, and underneath her lightheartedness, it wasn’t a casual matter. Waking through the night; sometimes staying up for prolonged periods of time. Differences in hormones such as melatonin and other brain chemicals that affect sleep. Behavioral issues such as difficulties setting and maintaining limits. Difficulties reading social cues: children with ASD may not “read” the signs that the family is getting ready for bed because they are not attending or interpreting the meaning of these behaviors. Sleep disorders such as apnea, sleepwalking, nightmares, night-terrors, and restless leg syndrome. (www.autismspeaks.org). If it takes longer than 30 minutes from the end of the bedtime routine to get to sleep. If a child is unable to get to sleep without the presence of another person. Frequent night waking, particularly if he/she is not able to get back to sleep easily. We have all experienced the effects of the lack of good sleep on our daytime functioning, but these effects may have more profound implications for children with ASD. Research has shown that ASD children with sleep problems have lowered cognitive functions (particularly with verbal skills that typically require more effort and concentration on their part), have more difficulty with social skills and increased emotional distress, increased hyperactivity, and poorer motor control. These impairments in turn make it difficult for ASD children to benefit as much as they might from the schedule of interventions that often make up their day. Sleep problems in an individual child have implications for the entire family: studies indicate that the parents of autistic children sleep less, have poorer sleep quality, and wake up earlier than parents of non-autistic children. I want to pause for a moment to acknowledge the obvious: Parents of children with ASD want their children to sleep well and in many cases have gone to great lengths and have made personal sacrifices to accommodate, let alone address, their child’s sleep difficulties. Sleep (along with eating and toileting) is behavior that parents can not directly control by physically manipulating or exerting their will on their child. There is a significant amount of stress involved in attempting to improve sleep, and parents need to feel supported rather than judged as they begin to make changes. I will be making some suggestions about how to support better sleep in the next few paragraphs, but acknowledge that sleep difficulties are rooted in problems with neurobehavioral regulation and, as such, are often challenging to alter. While keeping this in mind, parents should know that there is encouraging evidence to support the idea that parental efforts at improving sleep can lead to very positive outcomes. Researchers at Vanderbilt University have been studying sleep disruption in children with ASD for over a decade and have found that educating and supporting parents in understanding sleep disruption was critical to improving sleep for their children, and that most families in the study were able to make long-term improvements with parent-implemented interventions (Malow, Adkins, Reynold, Weiss, Log, Fawkes, Katz, Goldman, Madduri, Hundley, & Clemons, Parent-Based Sleep Education for Children with Autism Spectrum Disorders, Journal of Autism and Developmental Disorders, 2014 Jan 44(1): 216-228). The first step in addressing sleep problems is to discuss the issue with your child’s primary health care professional. This is an important step because your doctor can help rule out potential medical issues or determine whether a more specialized appointment is necessary (such as a sleep specialist, ENT, or a neurologist). Your primary care provider would also be the appropriate person to see in order to discuss whether medication or a supplement such as Melatonin would be a reasonable avenue to consider. Melatonin is a naturally occurring neurochemical that assists in regulating the sleep-wake cycle. Children with Autistic Spectrum Disorders have been found to have abnormal Melatonin levels, particularly at night. Over twenty clinical studies have shown a significant improvement in sleep length and sleep latency for ASD children who were given Melatonin before bedtime, even at relatively small doses (1-3 mg.). Negative side effects have been described as “minimal”, although experts note that long-term effects deserve further investigation. (Rossignol DA, Frye RE. Melatonin in Autism Spectrum Disorders, Current Issues in Clinical Pharmacology, 2014; 9(4):326-34). Medications used to treat other ASD symptoms can sometimes affect sleep regulations and sharing information about this dynamic will be important for your pediatrician or psychiatrist as they work with you to find an optimal regimen. Provide a Comfortable Sleep Setting: Think SENSORY issues at this stage. Is the room too hot, too cold, too bright, too dark (a dim night light is usually optimal)? Pay attention to trying to keep the room and the surrounding environment quiet. Some children benefit from increased sensory input such as weighted blankets. Enlist the advise of your Occupational Therapist for suggestions about what alternations might best incorporate your child’s sensory profile. Establish a Regular Bedtime Routine: A reasonable routine should be between 15-30 minutes before bedtime and followed primarily in your child’s bedroom (other than tasks that require the bathroom). The routine should be done in the same order each night. To the extent possible, it is important that all adults involved in putting the child to bed follow the same routine. The more consistently the routine is implemented, the more it will be useful in helping your child regulate to sleep. Consider the use of a visual schedule to help your child anticipate sleep. The Autism Speaks tool-kit has a variety of examples that can be modified depending on your child’s language abilities. Choose activities that are calming (listening to music, rocking, reading a book, a massage) rather than those that are stimulating. For example, if bathing is a stimulating rather than a relaxing activity for your child, move this activity to a time earlier in the day. Try as best as possible to keep bedtime and wake-time the same throughout the week. Restrict the use of electronic equipment while a child is winding down at night as this can be emotionally and visually stimulating, and the light from the equipment may interfere with Melatonin production. Try to create a “getting ready for sleep” environment across the household, including dimming lights, speaking in quieter tones, helping siblings and other family members understand the need to model self-regulation behaviors. Teach your child to fall asleep alone: Many modern parents place some value on co-sleeping, which is not necessary wrong in itself. However, if a child is unable to get to sleep by him/herself they will not be able to independently get back to sleep after experiencing the normal periods of wake/sleep that occur throughout a night of sleep. One approach to teaching a child to sleep alone incorporates principles of graduated sleep training (e.g. increasing the distance between parent and child on a gradual basis as he/she learns to regulate to sleep). The Autism Speaks Toolkit also describes the use of a “Bedtime Pass” that helps to communicate rules and a system of reinforcement around staying in bed long enough to get to sleep. Promote Daytime Behaviors: Regulate nap-times to end before 4:00 p.m. to ensure that a younger child is appropriately tired when bed-time rolls around. Avoid giving your child caffeine (watch the chocolate!) and sugar close to bedtime. Daytime exercise can make it easier to fall asleep and children who exercise tend to have deeper sleep. Children with a high need for sensory input may require more intense, “heavy” sensory-oriented activities throughout the day. Solving Sleep Problems in Children with Autism Spectrum Disorders: A Guide for Frazzled Families by Terry Katz & Beth Ann Malow, 2014. Sleep Better! : A Guide to Improving Sleep for Children with Special Needs, Revised Edition, by Mark Durand, Ph.D. The Autism Show Podcast: Dr. Beth Malow: Solving Autism Sleep Problems (http://autismshow.org/beth/). As always, the providers at Alternative Behavior Strategies are here to support you. Feel free to reach out with further sleep questions if you have them. This entry was posted in ABS Staff, Autism, Uncategorized on January 21, 2016 by abssysadmin. In order to compete in the innovation economy, companies need employees who think differently. That’s why, in May 2013, SAP launched its Autism at Work program, which is aimed at recruiting and hiring adults on the autism spectrum. The program has been such a success, SAP is currently working to expand it, with the goal of having 1 percent of its total workforce — approximately 650 people — fall on the spectrum by 2020, says José Velasco, head of the Autism at Work program at SAP. For the full article, click: How SAP is hiring autistic adults for tech jobs. This entry was posted in Uncategorized on December 9, 2015 by abssysadmin. Alternative Behavior Strategies, Inc. has recently expanded into Southern California. It has taken some time to get established but, we are happy to report, that treatment options are alive and well. 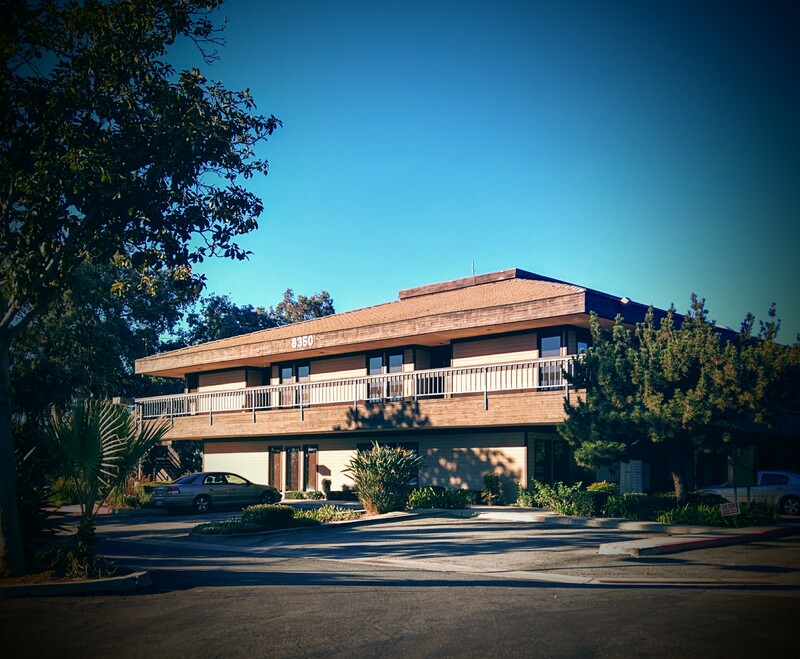 Our main office, in Rancho Cucamonga, is easy to locate and access. However, all services- from the Intake Assessment to ABA Treatment are available in home and community settings. Many families have been waiting for us to vendor with Inland Regional Center and San Diego Regional Center. We are happy to announce that this is finally complete and services are available. (Other major insurances are also accepted). Please fill out the interest form on our Service Page. We have been attending local events to reach out to children and families in the community. We recently attended RUSD Special Needs Fair in Riverside, CA and ran into some of our new families! The area is heavily populated but the community is tightly knit and involved in services and programs. We have had a wonderful time getting to know people in this area! This entry was posted in Uncategorized on November 7, 2015 by j355engel.